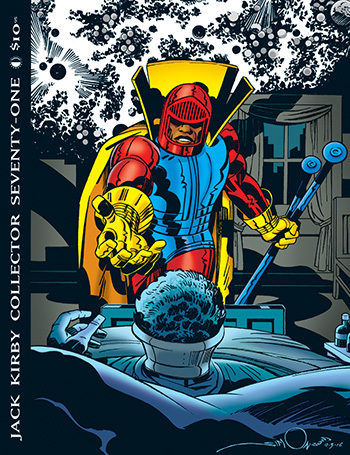 Jack Kirby Collector #71 is now shipping! 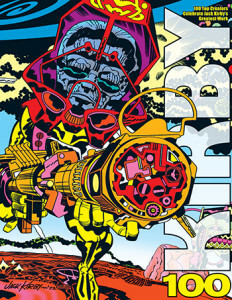 Jack Kirby Collector #71 is now shipping! It presents the second of two bookend issues: Last issue was Kirby: Alpha, and this issue is Kirby: Omega! It looks at endings, deaths, and Anti-Life in the Kirbyverse, including poignant losses and passings from such series as New Gods, Kamandi, Fantastic Four, Losers, Thor, Demon and others! Plus: A rare Kirby interview, the 2016 Silicon Valley Comic-Con Kirby Panel, Mark Evanier, unpublished pencil art galleries, and more! Cover inked by, and interview with, Walter Simonson! Edited by John Morrow. You can view a free preview and order the Print Edition (at 15% off with a FREE digital edition) or Digital Edition Only (just $4.95) HERE! And be sure to pre-order KIRBY100, our 100th birthday celebration for Jack Kirby, available HERE! This entry was posted in TNT on 30 May 2017 by Mr. Morrow.